International Dublin Gay Theatre Festival is run by an Executive Committee, all of whom give their services on a full volunteer basis. Brian Merriman, Founding Artistic Director. Brian is one of Ireland’s leading producer/directors, and an accomplished actor, writer and singer in music and theatre at home and abroad. In all he now has over 360 productions to his credit. He has won many awards for directing, acting and singing at International Festivals including for Best Producer, Best Director, Best Show and Best Actor at the Waterford International Festival of Light Opera, The Association of Irish Musical Societies and The Northern Ireland Festival of Light Opera. Amongst other achievements, Brian devised, wrote and directed the biggest millennium night celebration in Ireland – 1000 artists, 15 hours of entertainment, culminating in an audience of 50,000 people on the Quay in Waterford. He has a strong commitment to diversity and equality in the arts and to date has sourced, developed and encouraged thousands of young artists and volunteers. He prioritises meaningful access to the arts by performers, writers, communities and audience. 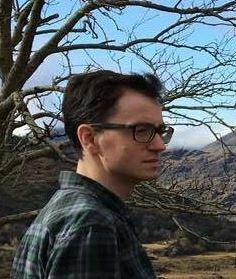 Gareth has been on the IDGTF executive committee for ten years, serving in a number of roles most recently box office manager and web & communications and has represented the Festival at the Edinburgh Festival Fringe for a number of years. An IT professional he has experience in areas including web, social media, management and administration. He has a long time interest in theatre and the arts. He has previously been involved in a number of other festivals and university societies including the Dublin Fringe Festival as well as a regular attendee of arts festivals in Ireland and abroad. A long-time supporter of IDGTF, Derek took over as Technical Director for Festival 2016, a responsibility he shares with R.C. Bates. Derek has many years of experience in the arts and arts administration combined with a professional career as a senior medical scientist. R.C. is an experienced technician who has managed Festival venues since 2015. Ivan joined us in 2015 having previously been a long-time supporter and patron of the Festival. He has served on various voluntary committees in the past and has over 20 years experience in the world of Corporate Accounting in Dublin, London and Sydney. A keen supporter of the Arts, he’s delighted to be able to put his skills to good use in overseeing the Corporate Governance of the Festival. Seán has joined the Executive Committee in 2018 having previously attended IDGTF as an audience member. 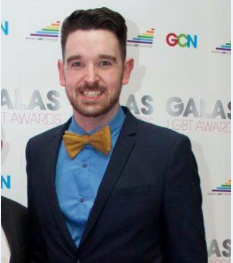 He has a background in primary education and is the current national secretary of the INTO LGBT Teachers’ Group, advocating equality for LGBT teachers and promoting inclusive schools. He has also worked with various school, university and community drama groups in the past and is an active member in Dublin’s Improv Drama scene as well as having worked with a variety of festivals & political campaigns. Daphne joined the IDGTF Executive Committee in 2018 and has been involved on the tech side of the festival since 2017. Daphne has been a lover of theatre since childhood and holds a Bachelor of Arts Degree in Sociology and Drama from the University of Guelph, Ontario. During her time there she gained experience in stage management, directing, and lighting & sound design. Daphne also grew up in Canada and has been lucky enough to call Ireland home since 2016. Sjaak joined the Executive Committee in 2018 after previously helping out as a volunteer. He has had an interest in the arts since childhood, which culminated in his Master’s in English Literature and Linguistics. His love for theatre as a way of story telling has grown since he moved to Dublin. He is excited to use his passion for organisation to support a great cause such as the International Dublin Gay Theatre Festival. We are supported by our eight member Board as well as over 40 volunteers annually.